This entry was posted in History, John Piper by Peter Kirk. Bookmark the permalink. 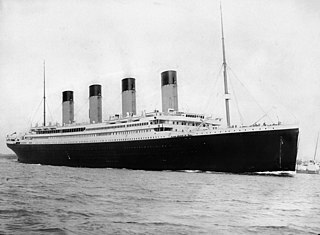 No, Yahweh did not sink the Titanic but there were people who wanted it underwater! J. P. Morgan owned the shipping line and wanted the Federal Reserve. John Jacob Astor and other wealthy men on board did not want it. With them dead, the Fed easily made it in. The ship was designed to sink. The wrong colored flags were used to signal the iceberg crash. Other errors were made. Our governments continue to keep the truth from us. (Other events that are lied about are World War II, The Moon Landings, JFK murder, 30 year Bush Senior White House, The British Dictatorship, H.A.A.R.P., and on and on! Believing on Yahshua the Son of Yahweh is The Truth and it will make you free! HalleluYah! (This ancient transliterated Hebrew word means “Praise ye Yah!”) And, by the way ~ Yahshua returns very SOON! 4Yahshua, I have never heard of that particular conspiracy theory before. Did you make it up? My take on this is that it points to the fact that “all creation groans as in the pains of childbirth” (Rom 8:22). I believe the Bible teaches that God is sovereign and that all things happen at his command. But I don’t think these things happen as a result of a specific sin; it’s just symptomatic of all creation being under the curse of sin. C.S. Lewis used the phrase “pain is God’s megaphone to a deaf world”, which I rather like: disasters happen, but they should send us running to the creator and the hope of redemption, rather than away from him. Phil, thank you for your sensible comments. But I do want to explore further the idea that demonic activity may be behind destructive winds etc. No Peter, I did not make up any of it. I am not that clever or deceitful. Thankfully, people who ARE interested in the truth post the details on the The Web so that others can learn the truth. Search “H.A.A.R.P.” and learn how it causes terrible winds and earthquakes! It might sound vulgar to you, but the Bible teaches that God kills everyone. The wages of sin are death. Why does it matter if it happens in a tornado or in our sleep? We all deserve death. People killed in natural disasters are not innocent. God may not kill them for a specific sin, but sin in general. HOWEVER, any Christians caught up in natural disaster will be considered innocent of their sin when they come to be judged. They escape the second death. This is the gospel. Joe, thank you for your comment. Yes, it is part of the divine order of the world, at least since the fall of Adam, that all people die, except for those who will remain until the coming of Christ. That is not the same as saying that God kills them, but I accept that the difference is a subtle one. And in the long term it makes little difference whether they die prematurely in a disaster or peacefully at a ripe old age, although of course the latter is less difficult for the family. However, if physical death is a punishment for sin, and the sins of Christians have been forgiven, why do Christians die? It is indeed the second death that they escape. Also of course animals die. These arguments make it difficult to maintain that physical death is a punishment for human sin, and so that people die because they deserve to.